Clothing and accessories are often constructed from man-made fabrics and fibers. While these materials frequently enhance the comfort of clothes and provide easy care options, some, including polyester, will melt if exposed to high dryer temperatures. 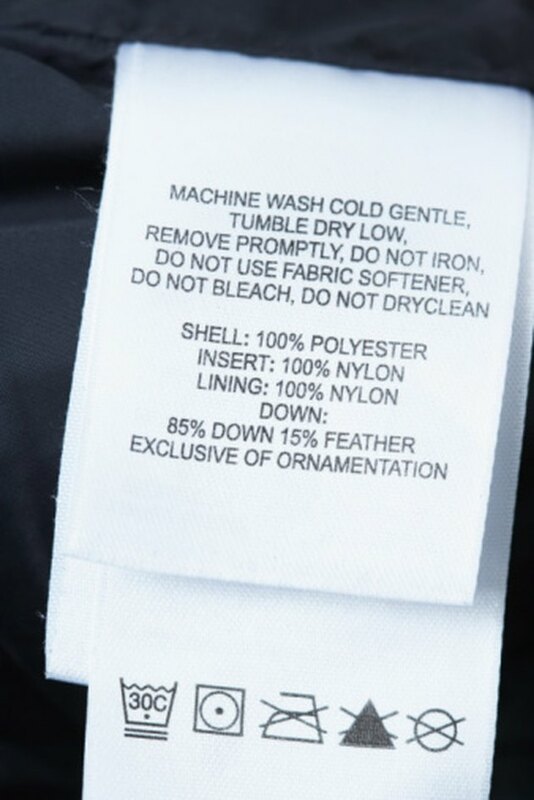 Carefully read labels on polyester clothing for care guidelines. Polyester is highly wrinkle resistant, strong and long-wearing. However, if pure polyester items are exposed to medium to high temperatures in clothes dryers, they may melt and become warped and hard to the touch. Fabrics that contain low levels of polyester are safely dryable at special dryer settings like permanent press that alternately heat and cool down the clothes to prevent melting and damage. Acrylic fabric is soft and strong but even more heat sensitive than polyester. It cannot withstand with any dryer heat. Nylon is among the most durable man-made fabrics but cannot withstand high heats. Take particular care when ironing nylon articles. Rayon, made from cellulose fibers, does not melt at high temperatures but will burn and discolor under high heat conditions. Because some clothing items are blends of man-made materials or contain both artificial and natural fibers, carefully read labels and follow manufacturing guidelines for washing and drying.